This entry was posted in PS4, videogames. Bookmark the permalink. 6 Responses to What’s the opposite of a “Sophomore Slump”? I did play BioShock, yeah. I don’t remember much about the final boss, except that it was dreadfully unimaginative after the rest of the game and then I got a cutscene of me saving all of the little sisters because I’m not a monster. I don’t remember it taking more than a single attempt, though, so at least it was an EASY pointless final boss. 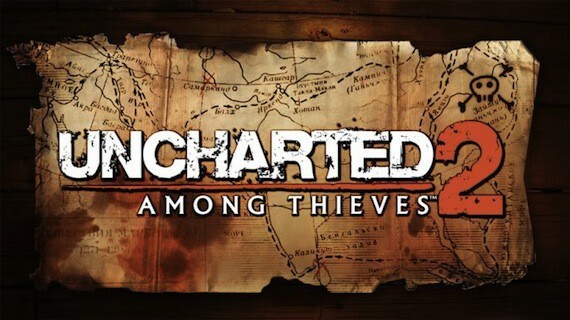 Uncharted 2 is an unequivocal improvement over the original. In the grand scheme of things, I think it was a little overhyped, but it still hits a solid 7/10 in my book (for the record, the original got a 4/10 from me). Both games do this weird thing where they forget they’re games half the time and implementing storytelling techniques that, while perfectly fine in films, simply do not work in an interactive medium (in fact, this is a problem I have with the entire series with the possible exception of The Lost Legacy). Still, final boss notwithstanding, while Uncharted 2 may not be a perfect game, it’s a definite high point for the series, having a creative spark that its predecessor lacked. Agreed, it’s a vast improvement. Like you said the other day, it really DOES make the original game look like a prototype. They made a character who could climb around environments, and they got a cover shooter done, and they got the jet skis working – though those are probably best forgotten – and then they shipped the thing. For the sequel, they got to sand the rough edges off and make it into a fully-realized game. The ever-present and convenient waist-high walls in the first game, for example, felt like they were only there to be cover for firefights. In the sequel, sure, there are an awful lot of convenient crates, but they worked much of the cover into the environment so it didn’t always stick out and scream “and now you will shoot exactly fourteen guys before the story can progress”. Thanks for your comments! I’m coming to this series super late and I like hearing the thoughts of someone who played them at the time. If I had played the original when it came out, I probably would’ve thought something to the effect of “Why is this so short?” It garnered a reasonable amount of critical acclaim, but I feel most of that is goodwill its sequels generated. Indeed, I seem to remember the reception being a lot more mixed back when it was released. Honestly, most people could skip it and not really miss out on any substantial part of the lore.